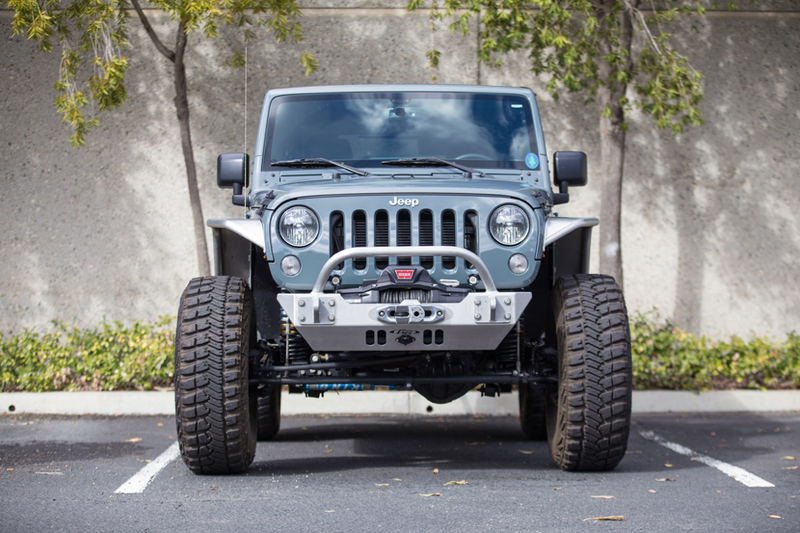 This 2 Door Jeep JK Rubicon is a perfect example of one of our "Mid" level builds. 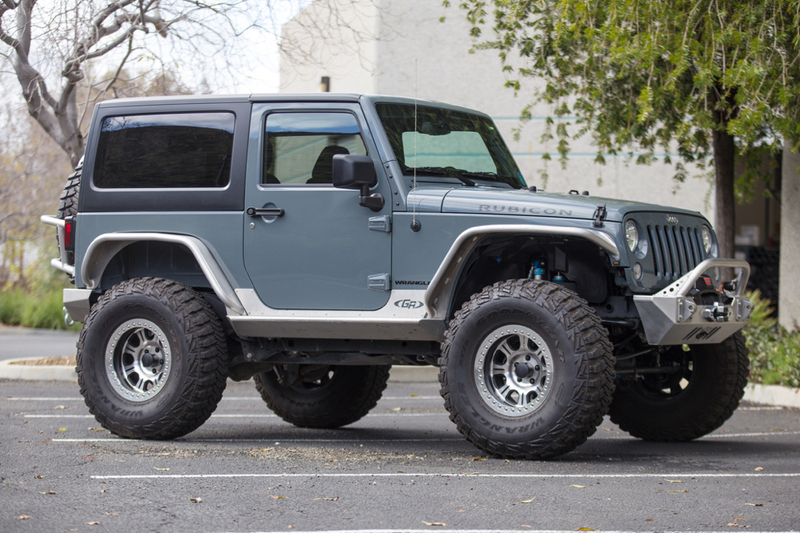 This customer opted to maintain the factory Dana 44 axles with a small 2.5" aftermarket lift kit and King Shocks to clear the 37" tires on Raceline wheels. The customer also wanted to be weight conscious, and decided to go with a full GenRight Aluminum wrap. We also offer powder coating for our builds, but he liked the contrast of the raw aluminum on the paint.